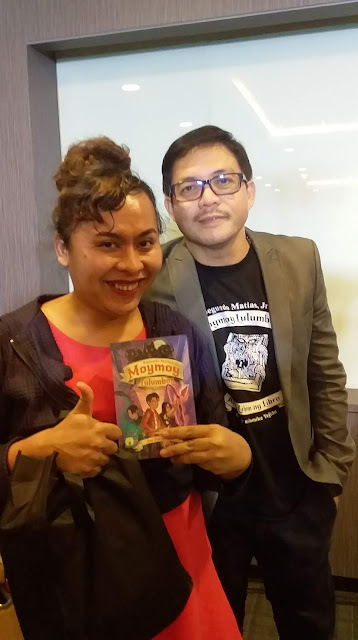 A book signing event was held last September 14, 2018 by Author Segundo Matias Jr for the installment of his fifth book entitled: Moymoy Lulumboy: Ang Lihim Ng Libro.Apart from the author of the book, the illustrator : Jomike Tejido was also present at the event . Child actor Noel Comia Jr. also graced the book signing event. Segundo Matias Jr. is a recipient of numerous literary award giving bodies, which include three Carlos Palanca Memorial Awards for Literature, the Philippine’s most prestigious—known as the “Pulitzer Prize” of the Philippines—and longest running awards program. Mr. Matias has also written screenplays for major movie outfits, as well as teleplays for various TV shows before entering the world of children’s literature. He is also a publisher and has published over 1,500 books for children and young adults The first four books published by Lampara books for the Moymoy Lulumboy Series are: Moymoy Lulumboy (Ang paghahanap kay Inay ) ,Moymoy Lulumboy: Ang Batang Aswang (Book2) Moymoy Lulumboy, ang nawawalang Bertud and the 4th one being Moymoy Lulumboy: Mga Dulot ng Digmaan. With the growing public interest on the franchise, ABS-CBN acquired Moymoy Lulumboy with the hopes of developing the series into a TV series, film, digital piece, merchandise or an attraction. 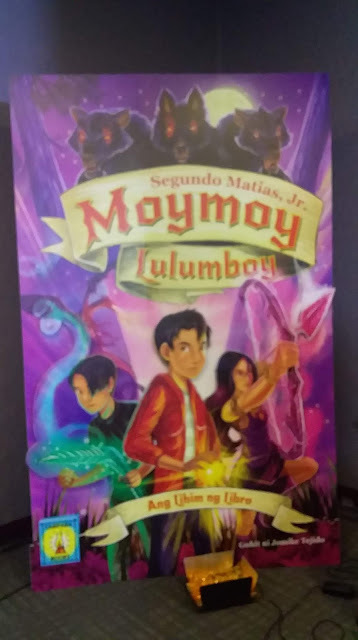 Moymoy Lulumboy: Ang Lihim Ng Libro is available on Precious Pages retail outlets, National Book Store, Pandayan Book shops and leading books stores nationwide. For inquiries you may contact, inquiry@lamparabooks.com.ph.